The Department of Energy, in a recent study, named Michigan as one of several states with the highest potential for wind manufacturing jobs in the nation. While California has had a great deal more wind development, Michigan actually has a greater wind resource, with the state ranking 14th among states for land based wind potential. This is beginning to be built out, especially in Michigan's thumb area along Lake Huron and Saginaw Bay, with several new developments planned. Consumer's Energy has constructed a meteorological tower in rural Elmwood Township, in Tuscola County,  to lay the groundwork for planned wind development in the area. Now a Florida based company has announced it is ready to build a new wind park in Bay and Tuscola counties, which will include up to 66 turbines. The company says the project would represent a $250 million investment in the area. A long term assessment of economic benefits, according to NextEra, the project's developer, include: • $15 million in property tax payments; • $20 million in payments to 75 landowners; • $25 million in salaries and benefits to 10 employees who will operate the park; • $30 million in the purchase of local goods and services by the company. About 100 residents attended a meeting in Bay County's Merit Township on the project. “We haven’t heard anybody saying ‘Get off of our property’ or ‘No way! ", said Scott Hawken, a spokesman for NextEra. A recent study by the Land Policy Institute at Michigan State University has shed new light on the potential for offshore wind development in Michigan's Great Lakes. The report indicates that 321,000 megawatts of energy might be available off Michigan's shores. A thousand megawatts would be comparable to a very large coal or nuclear plant, so the figure represents the equivalent of hundreds of large traditional power plants. That number represents an unlikely upper end (advocates say up to a third of the nation's electricity), but the report makes the point that the Lakes represent a wind resource of the first order. Michigan's central position in the Great Lakes region, strong manufacturing infrastructure, skilled labor resource, rail and water transportation hubs, and high technology expertise could make the state highly competitive in an industry that may rival the auto industry in size in coming years. Michigan is starting late, however, and it appears that Ohio will be the first state to install offshore wind turbines in the Cleveland area. 2 to 10 wind turbines could begin construction within the next few years. Wisconsin is also currently processing public comments with regard to three offshore wind proposals. In February, 2009, the Traverse City Record-Eagle reported that Michigan officials are looking to the day when offshore wind towers become a reality. "There's been tremendous interest for some time now, in wind energy and solar. At any time, somebody could walk through the door and say they want to do this," according to John Sarver, a supervisor with the Michigan Department of Energy, Labor and Economic Growth, who was quoted in the article. Wind watchers have been tracking the progress of Offshore wind initiatives on the Great Lakes, to see how public acceptance effects the deployment of great lakes wind. A series of public presentations on a proposed wind farm off shore from the west michigan communities of Shelby, Pentwater, and Ludington, near the Silver Lake State park scenic area, have brought out huge crowds, many of whom are home and cottage owners concerned about the aesthetic impact on their view of the lake. The massive 3 billion dollar project, which would place as many as 200 of the 450 foot high turbines in a 100 square mile area, from 2 to 4 miles off shore, well within view. One attraction for the developers is the proximity of the Ludington pumped storage power plant, which is a tie in to the state's electrical grid, and a potential "storage battery" for wind during hours of low electrical demand. The area is economically depressed, and greatly in need of the jobs the turbines would bring. At the same time, the economy relies on tourism, which many fear might be impacted by the giant turbines offshore. In March, 2010, The Grand Rapids Press, in the heart of politically conservative but wind rich west Michigan, editorialized that "Wind Power is Economic Power". The editors noted that issues such as aesthetics, as well as impacts on water, fish, birds and bats, need to be addressed. Still, they wrote, ".. on the whole, Michigan should encourage wind farm development, and find a sensible regulatory structure to make it happen." Advocates of wind development have pointed out that, if Michigan does not pursue wind manufacturing aggressively, other states will lead the way. One example is Colorado, which passed its first Renewable Portfolio Standard of 10 percent in 2004. That move was successful in attracting the world's largest wind turbine manufacturer, Vestas, to build facilities that employ thousands of Coloradans to supply turbines for the Great Plains wind corridor. Now the company will be supplying turbines for a project in Wisconsin a state which could arguably have been a customer for Michigan companies had the proper incentives been more quickly enacted. The Colorado program has been so successful, that the state has since raised its renewable standard for 2020 to 30%. Citing a loss of property values and quality of life, several Huron County residents have sued local wind operators in Huron County Circuit court. The lawsuit cites • Sustained and highly disturbing audible noise created by the wind turbines. • Amplitude modulation in both audible and sub-audible frequency ranges emitted from the turbines. • A flicker/strobe light effect that covers the plaintiffs’ properties when sunlight passes through the rotating turbine blades. 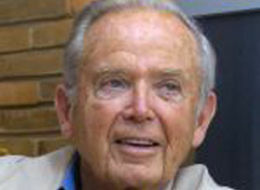 The residents claimed adverse physical effects including: "Inability to sleep and repeated awakening during sleep, headaches, dizziness, stress and tension, extreme fatigue, diminished ability to concentrate, nausea, and other physiological and cognitive effects", according to the Huron Daily Tribune. The lawsuit also notes the "symptoms experienced by David and Marilyn Peplinski’s family forced them to rent an apartment away from the wind farm in order to avoid the adverse health effects." The suit was filed against wind operatorsohn Deere Renewables, Deere & Company (John Deere), Noble Environmental Power, LLC, Michigan Wind I, LLC (Noble Thumb Windpark I) and RMT, Inc., and the plaintiffs are seeking in excess of $25,000 and an injunctive relief ordering the companies to cease and desist their activities. An interconnected Great Lakes wind grid would potentially address one of the major objections made to wind energy, that the power is intermittent. Wind offshore on the lakes is already steadier than land based wind. Interconnecting a series of wind projects from one end of the lakes to the other would all but insure that a predictable level of power would be generated by the system - as a predictable average of wind would be blowing somewhere on the lake system at any given time or season. 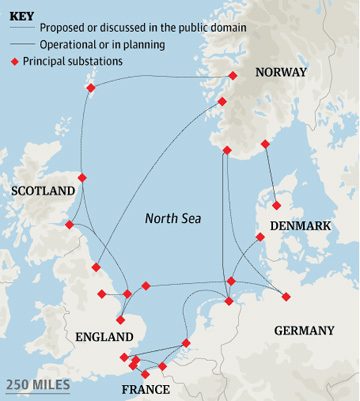 The idea has been broached in Europe for an interconnected North Sea Wind grid that might supply 70 million people. GreenPeace energy experts point out that, "A dip in wind-power generation in one area could be 'balanced' by higher production in another area, even hundreds of kilometres away, providing clean power for millions of European homes." In addition to an interconnected grid, several energy storage techniques exist to address intermittance from renewable sources. One is pumped storage. The Ludington Pumped storage facility, which, with an 1800 MW capacity, gives the state an already operating capability to store energy from wind development. By the end of 2008, a bevy of new wind projects were taking place in Michigan's thumb and elsewhere. John Deere Energy, owners of the Harvest Wind Farm, Michigan's first large scale wind installation, is putting the finishing touches on 46 turbines near Ubley, MI. Meanwhile, CMS Energy, Michigan's second largest utility, is erecting three meteorological towers in Tuscola County and four others in Mason County bordering Lake Michigan. By early 2009, DTE was making plans for a large commitment to wind power in the thumb area, particularly Huron County. In June, 2009, Wind Energy Resource Zone Board (WERZ) released a study conducted by the Land Policy Institute at Michigan State University, together with Public Sector consultants, of the best onshore wind sites in the state. 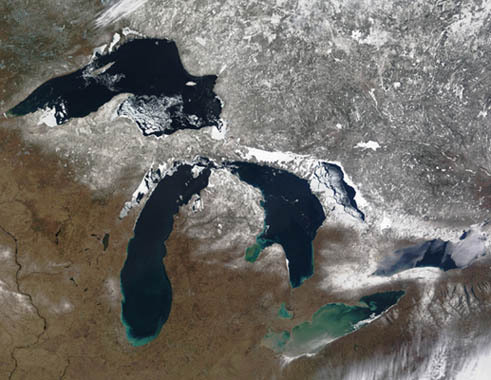 The areas, all bordering Michigan shoreline, include parts of Allegan, Antrim, Charlevoix, Benzie, Leelanau, Manistee, Huron, Sanilac, Tuscola, Bay and Saginaw counties. According to the study, those areas have the potential for a maximum of 4,093 wind turbines producing an annual 17,775,114 megawatt hours of energy, taking into account variability in wind speeds and other factors. According to the report, there are approximately 19 million acres of land available for wind turbine sites after the urban areas, airports, commercial structures, wetlands, lakes, rivers, and Great Lakes shorelines were taken out of the equation. However, the report said, "It is important to note that the identification of these regions does not mean that wind development will necessarily occur in these regions or other areas of the state. Conversely, areas of the state that were not selected by the board as having the highest wind energy potential may, in fact, provide good conditions to support commercial wind energy systems." As of September, there were 35 wind turbines in Michigan kicking out 62 megawatts of electricity, which represents a slight fraction of all electricity produced in Michigan, according to the Michigan Public Service Commission's (MPSC) annual report. Crain's Detroit Business reported of the regions, the Thumb area has the highest estimated generating capacity and annual energy production potential, involving an estimated 1,578 to 2,824 wind turbines. Northwest Michigan’s Benzie/Leelanau/Manistee region is second, involving an estimated 435 to 778 turbines. "...we must reject fear and turn with hope toward a clean energy future. Renewable energy has the potential to create even more jobs and more wealth than the Internet did. 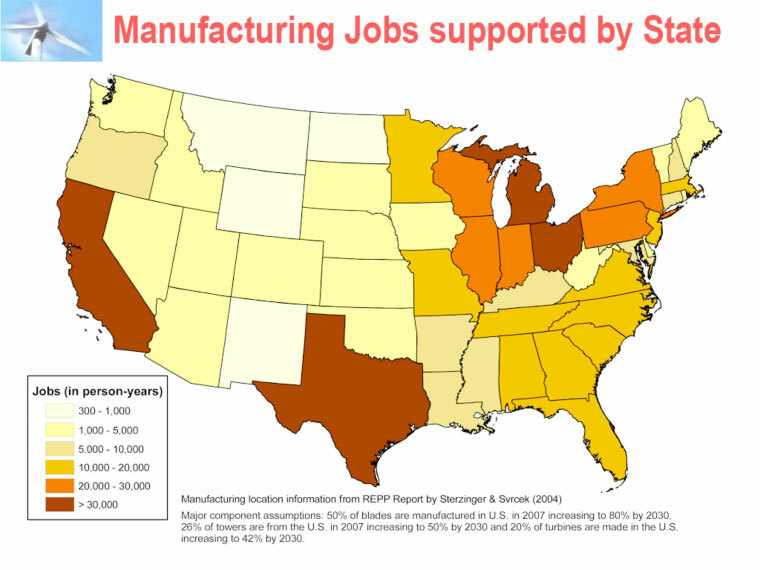 The Midwest, and Michigan in particular, could see huge benefits from clean energy industries. To accelerate these benefits, Congress must swiftly act to put a cap on carbon pollution." "Congress is debating the American Clean Energy and Security Act of 2009, which includes a carbon cap. Opponents of the bill have been pandering to fear, attacking it for being too expensive. Some have thrown around unsupported claims that a carbon cap will cost consumers thousands of dollars a year. Actually, an analysis by the Environmental Protection Agency found that a carbon cap will cost as little as $98 per year per household, or roughly 12 cents per person per day. In exchange for that small investment, Michigan will get more jobs, cleaner air and less dependence on imported oil -- not to mention the chance to once again be the vital center of the world economy." The first large scale proposal to construct offshore wind turbines in Michigan waters of Lake Michigan may run into some resistance from local residents, concerned about visual pollution and environmental safety. Scandia Wind LLC, a new company, is proposing a 4 billion dollar project that will include hundreds of turbines located offshore near Michigan's Oceana, and Mason Counties. In a recent public meeting, a number of residents expressed reservations and outright hostility to the project. Scandia would partner with Havgul Clean Energy in Oslo, Norway, to manufacture and construct the project. The developers hope to take advantage of the close proximity to Ludington's Pumped storage facility, to smooth out peaks and valleys in wind capacity. While Michigan is a late starter in the renewable energy economy, it's proven to be a quick study. A recent report by the state's Economic Development Corp. ndicated there are now 700 Michigan manufacturers doing wind-related work. A state tax credit of $7.3 million over nine years helped draw Global Wind Systems Inc., a new wind turbine manufacturer to Michigan, winning out over bids from Nebraska, Ohio, and Iowa. The company will invest $32.3 million to locate its first facility in Novi. The project is expected to create 807 new Michigan jobs, including 356 directly by the company. The Bay City Times reports that with the advent of Michigan's Renewable Portfolio Standard, manufacturers are looking at Michigan as a place to set up shop, and local companies that have lost business from the dwindling auto industry are now finding new customers in the wind arena. According to the Times report, "Merrill Tool & Machine in Saginaw County got into the wind component business a couple of years ago. An official there said Bay County has the right idea. "Any alternative energy business is doing very well right now," said Kam Sova, manufacturing manager for Merrill. Sova said his company doesn't even make automotive parts anymore. But the wind side of his business, making gearbox components like housings, rotors and shafts for commercial turbines, is growing." In late June, 2009, General Electric announced a new wind energy research and production facility for Southeastern Michigan, with possibly 1200 jobs. Observers say that this is further confirmation of Michigan's strong competitive position for growth in wind manufacturing. On March 11, 2009, a Spain based company, Logistica Energetica and West Michigan based Rockford Construction announced a partnership for creating new wind farms in Michigan. The new entity will be called Rockford Berge, and will serve the entire Great Lakes Region. The company predicted new jobs coming in manufacturing, trucking, logistics, and "you name it." Another area of potential growth is the small wind market. Mariah Power, a manufacturer of innovative small wind turbines, was recently named one of the "Best of What's New" in Popular Science magazine. The company has been assisted by a grant from the State of Michigan, and will produce 141 new jobs in the area. ↑ "Big Oil Man Moving into Wind Power," TakePart, June 10, 2008. ↑ More wind projects gust into Thumb - Ubly turbines tested on Monday"Jeff Kart, The Bay City Times, November 19, 2008"
↑ Florida company plans $250 million wind park in Bay, Tuscola counties"Jeff Kart, Bay City Times, january 29, 2010"
↑ State to Utiliies: Seek Coal Plant Alternatives "John Flesher, The Associated Press, February 26, 2009"
↑ "New Report Details Offshore Wind Potential in Michigan," Land Policy Institute, October 1, 2008. ↑ "Great Lakes Wind Could Supply One-third of U.S. Electricity," celcias, accessed December 2008. ↑ 8.0 8.1 "Studies Lift Hopes for Great Lakes Wind Turbine Farms," Washington Post, October 7, 2008. ↑ Windmills on the Water"Sheri McWhirter, Traverse City Record-Eagle, February 28, 2009"
↑ http://topics.mlive.com/tag/wind%20farm/index.html Great Lakes Wind]"Mlive,Items with tag wind farm"
↑ Developers face hurdles"David Alexander, Muskegon Chronicle, December 20, 2009"
↑ Wind Power is Economic Power"Grand Rapids Press, March 28 2010"
↑ Renewable Power's Growth in Colorado Presages National Debate"Peter Slevin, Washington Post, August 18, 2008"
↑ Wisconsin wind-farm project means work for Vestas' Colorado plants"Cathy Proctor, Denver Business Journal, March 25, 2010"
↑ Huron County Residents Sue Wind Companies"Kate Hessling, Huron Daily Tribune,May 29,2010"
↑ "Greenpeace calls for North Sea wind grid," BusinessGreen, September 4, 2008. ↑ Ludington Pumped Storage, Consumers Energy, accessed December 2008. ↑ "The big dig: Dredging on upper Saginaw River set to begin," Bay City Times, November 26, 2008. 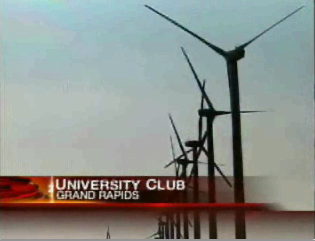 ↑ "Harvest Wind Farm to begin selling green power to DTE Energy," Bay City Times, January 30, 2008. ↑ "More wind projects gust into Thumb - Ubly turbines tested on Monday," Bay City Times, November 19, 2008. ↑ "Consumers Energy secures easements for wind generation," Jackson Citizen Patriot, November 18, 2008. ↑ DTE Energy has big plans for wind turbines in Huron County"Dean Bohn, Saginaw News, March 21, 2009"
↑ Make Michigan Nation's Clean energy Powerhouse"William Milliken, Detroit Free Press, June 14, 2009"
↑ Green Or Red Light For Lake Michigan Wind Turbines? "Chris Mccarus, Michigannow.org, January 19, 2010"
↑ State's wind energy biz gets big lift: $100 million GE investment key to building supply chain"Danial Duggan, Crain's Detroit Business, July 8, 2009"
↑ Granholm Announces 7,350 New Jobs Planned for Michigan "Office of the Governor," December 15, 2008. ↑ General Electric plans to build R&D wind turbine center in Detroit, sources say"Daniel Duggan, Crain's Detroit Business, June 25, 2009"
↑ [http://blog.mlive.com/businessinnovation/2009/06/analysis_general_electrics_win.html General Electric's Wind Energy Center could fuel Michigan's Alternative Energy based Revival]"Nathan Borney, Michigan Business Review, June 26, 2009"
↑ New Wind Farm Company to Focus on West Michigan "WZZM-13, March 11, 2009"
↑ "Mariah Power Windspire," Popular Science, December 15, 2008. ↑ Winds of Change in Energy Business"Kathleen Gray, Detroit Free Press, July 12, 2009"
↑ Governor Granholm, MEDC Announce Support for Alternative Energy Project in Manistee, 141 New Jobs "Bridget Beckman, MEDC, October 10, 2008"